Stephen Crane's gorgeous clafoutis recipe is autumn comfort food at its best. Plums always taste particularly flavoursome when bought during their season, and this is an excellent way to celebrate them at their best. 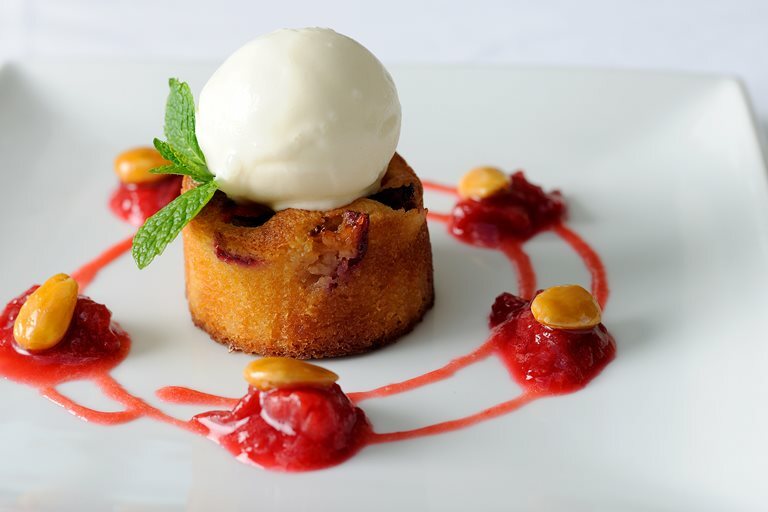 Enjoy this dessert with the remarkable crème fraîche sorbet, as shown here, or with a scoop of vanilla ice cream.